Alhamdulillah I have loved reading this book. It is very important for us to know what sort of knowledge is beneficial for us as our life is too short to waste in gaining knowledge that is not going to benefit us in any way. What scares me more is the possibility that I may end up reading something which will affect my faith (creating doubts, confusion) and ruin my chance to gain closeness to Allah (SWT). There is a beautiful supplication at the start of the book which I hope can help us in gaining beneficial knowledge, insha-Allah. I just tried to quote from the book a bit so that you can have an idea about the book. It is a must have book for any library, mashallah. It’s not really a thick one so you may be able to finish reading it in one or two days, insha-Allah. In the Qur’an, Allah (SWT) sometimes mentions knowledge in a praiseworthy way referring to beneficial knowledge and at other times in a blameworthy way referring to knowledge that is not beneficial at all. He (SWT) taught us a beautiful dua in the Qur’an. “And say: My Lord! Increase me in knowledge.” (Surah TA Ha 20:114) It is also mentioned in the Qur’an that only learned amongst His servants do truly fear Allah (SWT). According to Imam Ahmed (May Allah have mercy upon him), the foundation of knowledge is the fear of Allah (SWT). Therefore, the foundation of knowledge is that knowledge which leads to fearing Him, loving Him, drawing close to Him, taking comfort with Him and ardently desiring Him. 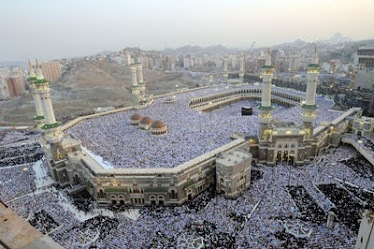 Then this is followed by knowledge of the rulings of Allah (SWT), all that He loves and is pleased with. Whosoever realises these two types of knowledge, he has found beneficial knowledge, he has attained beneficial knowledge, a fearful heart, a content soul and supplications that are responded to. 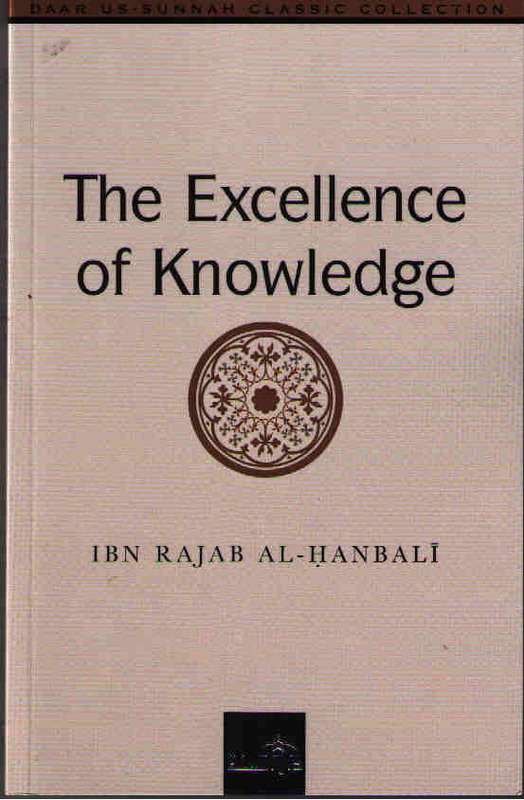 The author argues that the beneficial knowledge is to strictly follow the text of the Book (the Qur’an) and the Sunnah, to understand their meaning and in order to do so, confine oneself to what has been reported from the companions, the successors and their successors in matters to do with the Qur’an, hadith, the lawful and the prohibited, asceticism, softening of the heart, gnosis and other things. “Awza’i said, ‘Knowledge is that which the companions of Muhammad (SAW) conveyed, anything else is not to be considered knowledge’.” This is also stated by Imam Ahmed. Our salafs used to be very careful with their dealing with people. They refrained from excessive argumentation and debating, they did not do so because of ignorance and inability, rather because of knowledge and the fear of Allah (SWT). Those who came after them, who did speak much and went to great lengths in widening issues, did not do so because they had knowledge that the salaf did not, rather due to love of speech and lack of scrupulousness (wara’). In summary, the author concludes, in these corrupt times, it is very important for us to stick to the Salafs. Regardless of whether it be in the foundation of the faith or its subsidiary issues, the tafsir (Exegesis) of the Quran, the explanations of the hadith, asceticism, matters which softens the heart, points of benefit and wisdom, exhortations – whatever the Salaf spoke. And we should try to avoid excessive debating and argumentation. I hope the review helps and it’s not too long! You can buy the book at Kitaabun.